We wanted him to win. We wanted a Triple Crown after such a long drought. But he came to New York and didn't get it done. For whatever reason. A horse named Tonalist got it done. In the Peter Pan Stakes, he beat out Commissioner. Yes, the very same colt who came in 2nd in the Belmont. So the 1st and 2nd a few weeks earlier in New York were 1st and 2nd again in New York in the Belmont. Now California Chrome has already proven he's a fine horse. A really fine horse. BUT, if he's to be a champ, he needs to redeem his Belmont loss and run again. Run again against the best. Chrome's connections are already insisting he will not run in Saratoga. Not the Jim Dandy on July 26? Plenty of time for rest till then. Not the Travers on August 23? Same. Palace Malice, who won the Belmont Stakes last year, then came to Saratoga and won the Jim Dandy. He's now viewed by many as the best horse running in America. Also last year, Will Take Charge, who failed to win any of the Triple Crown races, came to Saratoga and won the Travers. He also returned to Churchill Downs in the Fall and this time won in the Grade 1 Clark Handicap. 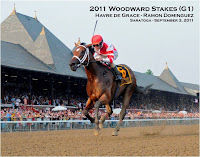 He won the Eclipse Award for 3 Year Old Horse of the Year. Soooo. Saratoga is where Chrome's connections can demonstrate that he's really as great as we thought he might be after he won the Derby and the Preakness. Many, if not most of the top 3 year olds--including Tonalist and Commissioner--are already being targeted for Saratoga. 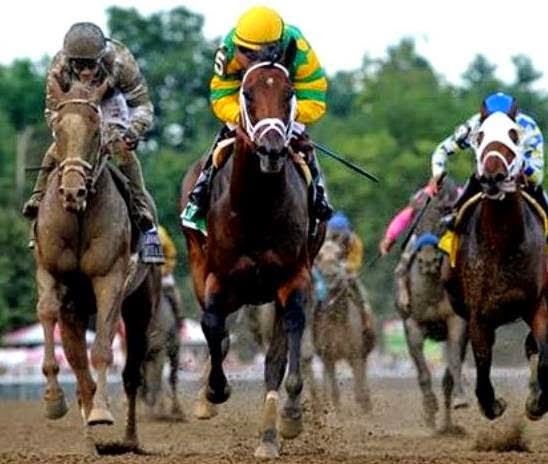 Chrome will have a 2nd chance to beat them, and to beat them at America's greatest racing venue. 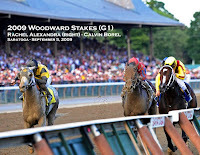 In fact, besides the Dandy and the Travers, there's also the Whitney and the Woodward at Saratoga. 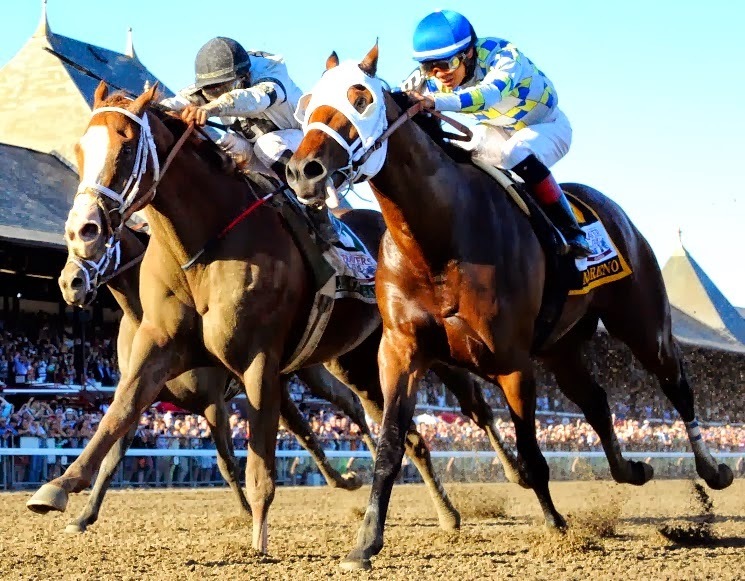 In those races, Chrome could try the even tougher challenge of beating the best older horses. 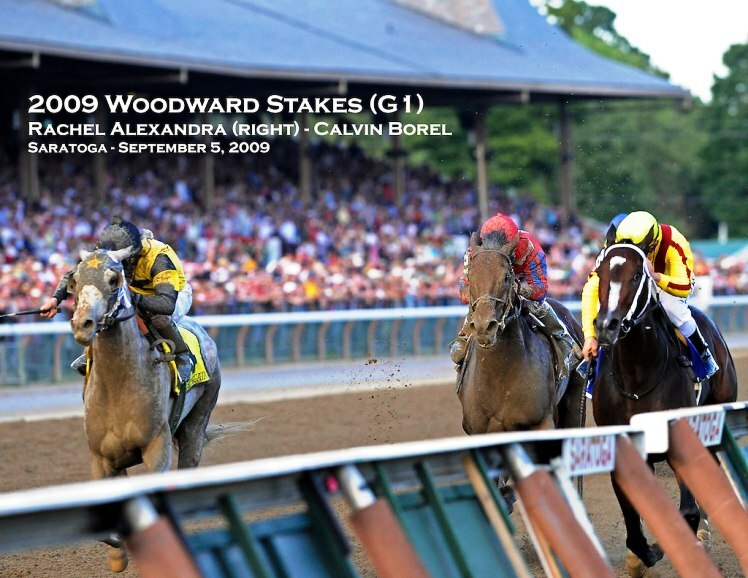 Rachel Alexandra, a 3 year old filly in 2009, came to Saratoga and beat the older boys in the Woodward. She won Horse of the year. Havre de Grace, a 3 year old filly in 2011, did the same. The Woodward and Horse of the year. In short, there are plenty of opportunities at Saratoga for California Chrome to redeem his Belmont loss and to show he's a true champ anyway. If he's simply kept in California, and races only at his home tracks, we--and his connections--will never really know how good he is. But if he returns to New York, runs at Saratoga, and wins one of the big races, he and his connections will show that he's a champ. Because everyone knows, if he can make it here--that's New York, and in the Summer that's Saratoga--he can make it anywhere.